As a big fan of Syrah and Grenache based wines, Rhone wines are some of my favorite French wines. Complex and expensive wines like Châteauneuf-du-Pape and Cote Rotie are complex, full of interesting aromas... but do not fall into the category of an everyday drinking wine. One of the tricks I've learned in finding value European wines is to look for a region that is located very near a high roller region like Châteauneuf-du-Pape. It's not a guarantee of success, but you will find similar grapes, grown in similar soil with a similar climate. In this case the region is Vacqueyras, which is located just east of Châteauneuf-du-Pape. This logic also led me to some great everyday wines from Gigondas, also right the neighborhood. 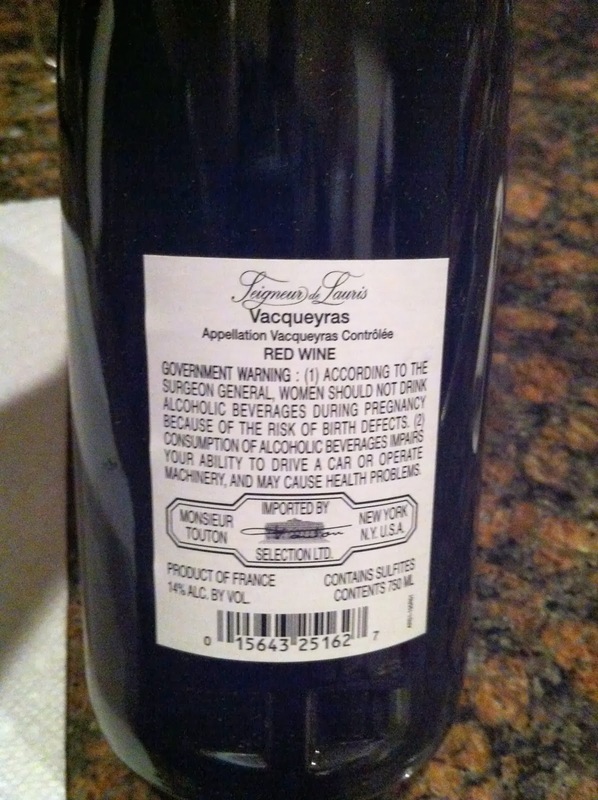 But today's wine is from Vacqueyras (pronounced VACK-a-rahs), so let's see how we do! 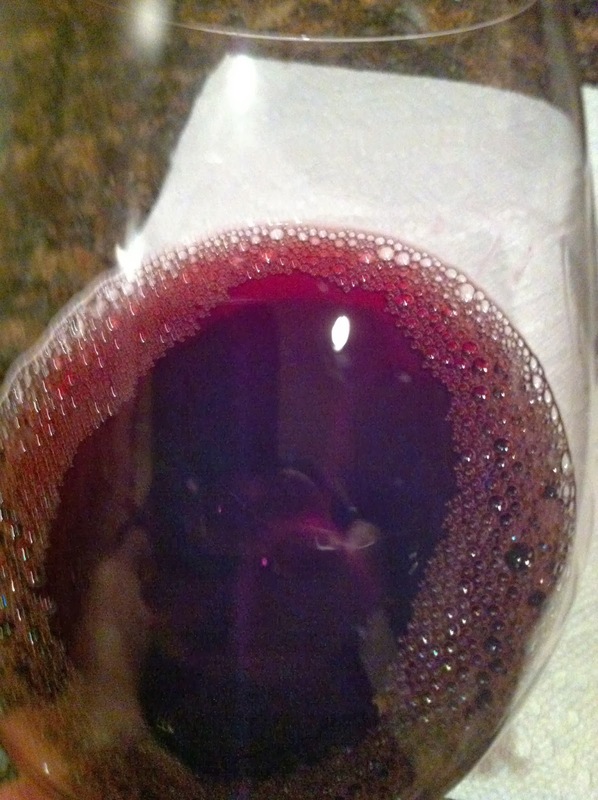 Appearance: Wine is clear, purple in color at the core/center with a water white rim. Aroma: Great aromas of dark fruit like black cherries, licorice, spices. 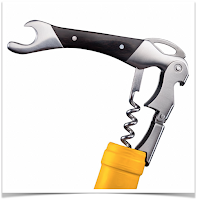 Taste: Deeply flavorful and quite fruit forward for a French wine. Definitley a nice long finish. 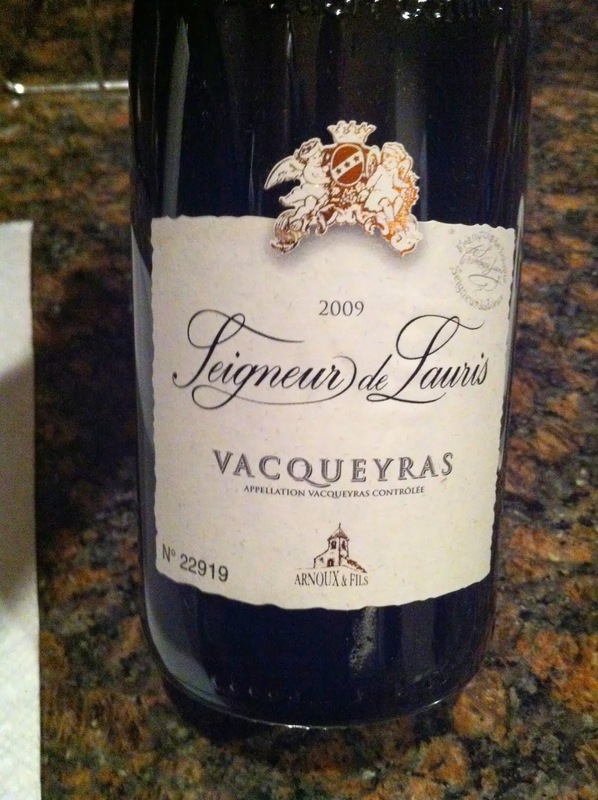 A good amount of tannins, it would have benefited from a couple hours in a decanter - or a while aging in the bottle. The Grade: I give this one an A. This wine strikes a great balance between old and new world for my tastes. Pure lovers of old world, less fruity French wines may not enjoy this as much, but if you are looking to experiment with some French wine - I would start here. Wino4Life Blog Turns One Year Old!